On April 3rd, the Senate released its 2019 tax plan - Senate Bill 622. If enacted, the bill would make important tax changes for businesses, including a phased reduction of the franchise tax rate, implementation of market-based sourcing and decoupling from a provision of the 2017 federal Tax Cuts and Jobs Act (TCJA) that taxes incentive grants to corporations. The bill does not include some hoped-for provisions, such as North Carolina analogue to the federal Opportunity Zone incentives or a decoupling from the TCJA’s limitation on net interest expense. This Alert summarizes the more important features of the bill. The standard deduction has been increased five times since 2013. The Senate bill would increase it again for the 2021 and later tax years. The standard deduction would increase from $20,000 to $20,750 for joint filers, from $15,000 to $15,563 for heads of households and from $10,000 to $10,375 for single filers and married couples filing separately. Under federal law, if a taxpayer’s IRA makes a qualified charitable distribution, the amount of the distribution is excluded from gross income and may not be claimed as a charitable deduction. North Carolina requires the excluded amount to be added back in calculating state taxable income and permits the taxpayer to claim a deduction for the contribution in calculating the taxpayer’s itemized deduction amount. The bill would unwind this decoupling and conform to the federal law (income exclusion/no deduction), effective for the 2019 and later tax years. The franchise is regularly criticized as overly complicated, a double tax on property (in addition to local ad valorem taxes), an impediment to capital formation and a penalty for investing in the state. The Senate bill would begin what is hoped will be a gradual elimination of the franchise tax. The bill would reduce the rate of tax on each $1,000 of tax base from $1.50 to $1.30 in 2020 and to $1.00 in 2021. Electric power companies and their affiliates would remain subject to the $1.50 rate until 2027 at which time they would be taxed at the same rate imposed on other corporations (i.e., $1.00 under the bill). The bill would also eliminate one of the two alternative franchise tax bases. Under current law, the tax is computed on the higher of the following bases: apportioned balance sheet net worth, actual investment in tangible property in the state and 55% of the appraised value of the taxpayer’s property as determined for property tax purposes. The bill would eliminate the 55% of appraised value base, effective in 2020. North Carolina has struggled with market-based sourcing for several years. The state fully phased in single sales factor apportionment for income and franchise tax purposes in 2018. Single sales factor apportionment apportions income based on the location of the taxpayer’s sales without regard to where its property or employees are located. Taking property and payroll into account for apportionment purposes was deemed to penalize taxpayers for investing and hiring in the state. However, North Carolina continues to source income from services based on where the activities that give rise to the income take place. That is generally where the taxpayer’s property and employees are located. This defeats the purpose of single sales factor apportionment for service industries. In 2016, the General Assembly proposed market-based sourcing legislation and instructed the Department of Revenue to promulgate rules to implement the legislation but delayed the effectiveness of the rules until market-based sourcing legislation was enacted. The Department promulgated rules in 2017, but since market-based sourcing legislation has not yet been enacted, the rules have never taken effect. The Senate bill would enact the same market-based sourcing legislation that was proposed in 2016 and make the previously promulgated rules effective in 2020. The Supreme Court’s decision in South Dakota v. Wayfair, Inc. permitted states to require remote sellers to collect sales and use taxes on sales to in-state customers. Shortly after the Wayfair decision was released, the Department of Revenue issued a directive announcing that it would begin requiring a remote seller to collect North Carolina sales tax if the remote seller had more than $100,000 in North Carolina sales or at least 200 separate sales transactions sourced to North Carolina. The General Assembly codified the directive in a technical corrections bill last month. Most of the large online retailers were already collecting sales tax voluntarily or because they had physical nexus with the state, and it is believed that the states’ best option for collecting significant new sales tax revenues following Wayfair is to require online marketplace providers to collect tax on sales made over their platforms by small third party sellers who individually fall below the $100,000/200 transaction threshold. The General Assembly considered requiring marketplace providers to collect taxes on the sales they facilitate in 2017, but the bill was not enacted. The Senate bill would extend sales tax collection responsibility to marketplace facilitators. The law would apply to marketplace facilitators that satisfy the $100,000/200 transaction threshold. Direct sales by the facilitator as well as sales by third party sellers using the facilitator’s platform (referred to as marketplace sellers) would be counted in determining whether this threshold was met. If the threshold is satisfied, the facilitator would be required to collect tax on all facilitated sales. The marketplace seller would be treated as a wholesaler with respect to sales made over the facilitator’s platform and so would not be required to collect tax on the sale. This would avoid double collection of tax where the marketplace seller satisfied the $100,000/200 transaction threshold independently. The bill offers several relief provisions for facilitators: it would protect marketplace facilitators from class action lawsuits brought on behalf of customers alleging overcollection of tax by the facilitator on facilitated sales, and the Department would be authorized to compromise a marketplace facilitator’s sales tax liability if the failure to collect the correct amount was attributable to incorrect information supplied by the marketplace seller. The Senate bill would also clarify the rules regarding the rental of accommodations through accommodation facilitators. The bill would expand the definition of accommodation facilitator to cover persons who list accommodations for a fee as well as persons who accept payment or credit card information from renters. The term also would be amended to specifically include real estate brokers. The bill would also clarify that the provider of the accommodation (rather than the facilitator) is required to collect sales tax on the accommodation rental if the provider collects payment when the reservation is made or when the accommodation is occupied. In addition, the provider is responsible for collecting the sales tax if a facilitator makes the reservation and collects credit card information when the reservation is made but does not collect payment when the reservation is made. The facilitator must collect the sales tax if the facilitator collects payment or a deposit when the reservation is made. Accommodation facilitators not required to collect tax must report to the provider and to the Department information regarding the rentals it facilitates . These provisions would become effective September 1, 2019. The TCJA repealed a long-standing provision of the Internal Revenue Code excluding from the gross income of a corporation contributions to the capital of the corporation made by a government entity. Because of this change, government incentive grants, which were previously excluded from income, became taxable at the federal level. North Carolina did not decouple from this TCJA change and thus reduced the value of its own state and local government incentive grants. The Senate bill would allow corporations to deduct grants from the state’s Job Maintenance and Capital Development Fund, Job Development and Investment Grant Program and the One North Carolina Fund in computing their state net income. A deduction for these grants would also be enacted for individual taxpayers. These changes would be effective for amounts received under an economic incentive agreement entered into after 2018. The historic rehabilitation tax credits. The sales tax exemption for aviation gasoline and jet fuel sold to an interstate air business for use in commercial aircraft. The sales tax exemption for sales of engines, engine parts, service contracts and repair, maintenance and installation services and certain other items to a professional motorsports racing team or sanctioning body or to persons providing engines to a professional motorsports racing team. The refund for sales taxes paid by a professional motorsports racing team or sanctioning body on aviation gasoline and jet fuel. The refund for 50% of the sales taxes paid by a professional motorsports racing team on tangible personal property (other than tires or accessories) that comprise a part of a professional motorsports vehicle. The Senate bill includes a number of tax and other relief provisions for out-of-state businesses that enter the state temporarily to help restore critical infrastructure following a declared disaster. These provisions would be effective January 1, 2019. An “out-of-state business” is one that, except with respect to its disaster-related work, has no physical presence or business operations in the state, is not registered to conduct business with any state agency and has not been required to file any North Carolina tax returns for the prior three years (other than with respect to disaster response work during a pre-enactment tax year). “Disaster-related work” is work repairing, installing, renovating, building or performing services on critical infrastructure (generally, communications and utility distribution and transmission systems) that has been damaged or destroyed by a disaster in an area covered by a disaster declaration. The “disaster response period” begins ten days before the first day of a disaster declaration and ends 60 days after the disaster declaration’s expiration. A “critical infrastructure company” is a registered public communications provider or a registered public utility. The obligation to obtain a certificate of authority. The requirements of the state employment security law, including the requirement to make unemployment insurance contributions. The requirements of the Workers’ Compensation Act. The unrelated business income tax. The S corporation income tax. In addition, a nonresident individual would not be subject to income tax or withholding or be required to file a return if he is an employee of an out-of-state business entitled to relief or of a critical infrastructure company and is temporarily in the state to perform disaster-related work during the disaster response period and is not otherwise working in North Carolina. Owners of out-of-state businesses that are pass-through entities would not be taxable on their shares of the entity’s income attributable to work performed by the entity during the disaster-response period. If the entity is a partnership, it would not be required to file a partnership return. Finally, a corporation that makes a payment to a related party that is not taxable on the payment under these relief provisions would be required to add the payment back to federal taxable income in computing state net income if the payment was deducted for federal purposes. 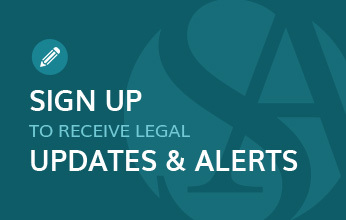 For more information about the Alert, please contact a member of Smith Anderson’s Tax Group, business lawyers who understand taxation. See N.C. Gen. Stat. §§105-153.5(c2)(3) and 105-153(a)(2)a. See N.C. Gen. Stat. §§105-120.2(b)(2) and 105-122(d)(2). See S. 622. §§2.1. (a) and 2.1.(b). See N.C. Gen. Stat. §105-130.4(l)(3)c.
 See S. 622. §§3.1 through 3.6. 585 U.S. ___; 138 S. Ct. 2080 (2018). See S.L. 2019-6, §5.2; N.C. Gen. Stat. §105-164.8(b)(9). See S. 622. §6.2. (g), (h) and (j).